This post will introduce you a useful list of the 20+ best currently active WordPress tutorial related channels on Youtube. These channels are mostly focused on Tutorials and Guides for Developers and Designers that want to learn all about WordPress. Check them out and don’t forget to subscribe channels you like. If you have anything to add or have any questions please join the conversation via the comments section. Aspen Grove Studios is a WordPress Developer’s go-to destination for Premium Divi Child Themes, Plugins & Tutorials. The Official YouTube Channel of Superfly. A podcast by Divi and WordPress enthusiasts for Divi and WordPress enthusiasts. Jump in on the chat every Tuesday LIVE @ 2pm PST / 9pm GMT! Divi Space | Tutorials, child themes, plugins, courses and resources for the Divi Theme by Elegant Themes. 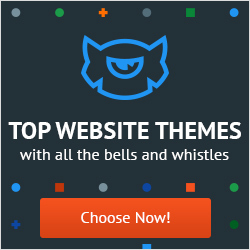 WordPress Themes | Child Themes | Products for building better websites. An online marketplace to develop, sell and inform Web Designers and Developers of useful additions to Elegant Themes. Beautiful Premium WordPress Themes coupled with advanced functionality and awesome support. This channel is created to help beginners in making and enhancing their WordPress website through easy to follow tutorials. We make tutorials about WordPress Themes, MailChimp, WooCommerce, SEO and more. We want to help people to enhance their online presentation. Josh Hall’s personal endeavor to help aspiring Divi/Wordpress web designers who would like to build a successful web business of their own! Learn web skills, change your world. I share web skills I learn to help you thrive in today’s tech-centred world. Learn how to create a professional WordPress website, increase traffic and conversions, build your online business and brand and more. Have a video request? I’d love to hear your suggestion, please drop me a note in the comments. WordPress Tutorials – Every Wednesday you’ll find a new WordPress tutorial video here. WP User TV is a show for WordPress users covering tips, tutorials, and interviews. WordPress Tutorials and Reviews for Beginners and Advanced. We started this channel as a resource for our clients or anyone who’s just launched their first WordPress site and got their first theme installed. My free video lessons teach people how to create their own professional website without any coding experience. All tutorials are step-by-step with no step skipped. WPBeginner is the largest free WordPress resource site for WordPress beginners. We offer easy to understand WordPress tutorials for mastering the basics and beyond. WPCrafter.com is dedicated to learning and leveraging WordPress. We offer simple to follow tutorial videos on WordPress that covers simple topics like installing WordPress and maintaining WordPress, and more advanced videos for WordPress developers. I help you find the best WordPress Themes & Plugins. I also produce tutorial and review videos! I create WordPress tutorials and courses so that you can quickly learn the skills you need to create/run your business’s websites or get more clients. We focus on WordPress fundamentals and take you all the way through to advances skills. Welcome to WPTuts – Home of our WordPress, Slider Revolution 5 and Visual Composer tutorials. We cover everything from the basics through to advanced tips, tricks & techniques. We also cover other cool add-ons, plugins and themes for WordPress. Graphic and website designer, currently, I attend to the maintenance of about thirty sites for existing clients as well as creating websites for the new ones. In my free time, I get into the secrets of the world of Linux, SSH, WP-CLI and I’m preparing this blog. Thank you for this list, David. Another great Youtube channel about WordPress is Darrel Wilson’s channel. You are most welcome, thank you for the suggestion.